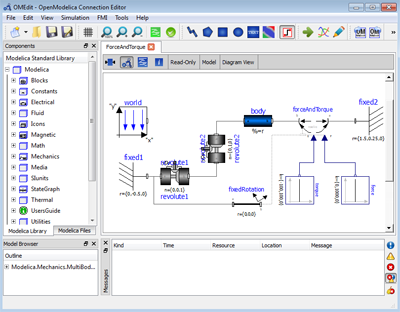 OMEdit is the OpenModelica Connection Editor is an advanced open source user friendly graphical user interface that provides the users with easy‐to‐use model creation, connection editing, simulation of models, and plotting of results. The interface is extensible enough to support user‐defined extensions/models. Models can be both textual and graphical. The connection editor will function as the front‐end and OMC as the backend. 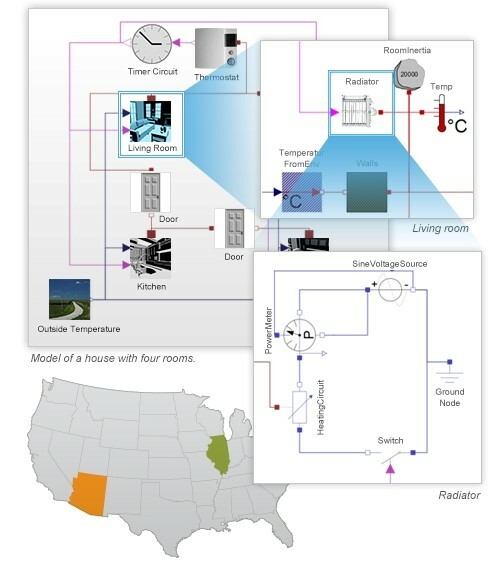 OMEdit communicates with OMC through the interactive API interface, requests the model information and creates models/connection diagrams based on the Modelica annotations standard version 3.2.